Erases black marks, leaves a great shine. Introducing the newest member of the 3M floor pad family?? 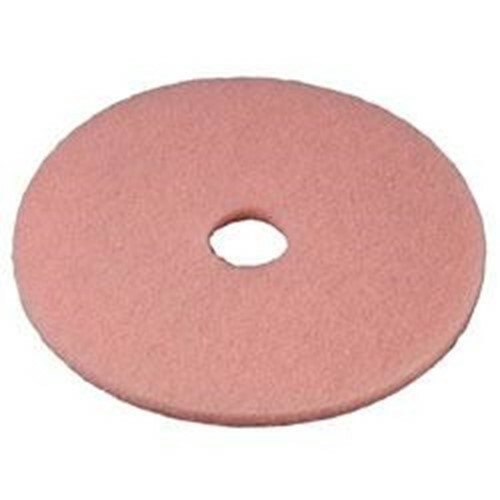 ?the 3600 3M Eraser Burnish Pad. From the company that invented floor pads, it is the best burnishing pad yet for use of 3M floor finishes. We have combined the best of floor finish and floor pad technologies to create a floor burnishing system that delivers optimum floor appearance. Ideal for heavy traffic floors, the Eraser pad removes black marks and leaves a great shine and it does it in fewer passes than other pads. Best burnishing pad for any 3M floor finish. Removes black heel marks better and faster than any other burnishing pad on the market. Quickly restores high gloss shine. Excellent durability, resists tearing and shows only half the wear of other non 3M floor pads. Generates very little dust saving of cleanup time. Versatile, can be used on all types of high speed burnishers as well as other floor finishes.